Flexible pipes have replaced the traditional metal pipes largely in today’s time. They are made up of metallic wires, polymer based compounds and tapes that are arranged in concentric layers. They are manufactured especially to suit the requirements of both its environment and the fluid it is going to transport. The most common material used for manufacture is A1S1 4130 low alloy steel. Due to its increasing demand, more manufacturers have cropped up and it is an easily available component in most places nowadays. As the metal pipes could not be bent at will, they had to be joined at various places as per requirement. Flexible pipes completely changed the scenario. With the advent of flexible pipes, there was a radical reduction in need for jointing. 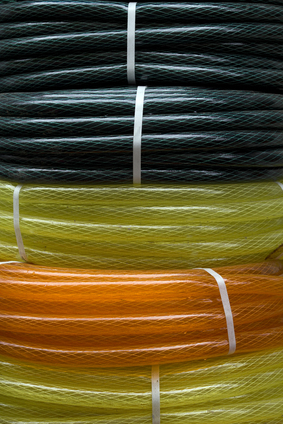 Just as cables are laid straight off a coil, these pipes can also be laid in a similar fashion. It can be laid under and around obstacles like big rock layers and boulders very easily, which makes it a perfect choice in hilly regions. This feature comes extremely handy when heating network pipes are laid in the buildings of very cold regions like Kazakhstan, Russia etc. Since flexible pipes are mainly composed of metal such as alloys of steel, it can be used to transport very high temperature fluid also. This feature comes extremely handy when heating network pipes are laid in the buildings of very cold regions like Kazakhstan, Russia etc. The manufactures of these pipes are continuous which saves a large amount of polyurethane. The flexible pipes can also be pre- insulated to suit the specific need of the customers, with the help of new and innovative technology. Flexible pipes find their applications in a variety of industries like chemical, paper and pulp, fermentation, petroleum and other fuels, food etc. They may be used for farming and agricultural purposes. They are mainly used to construct supply networks of telephone, water, electricity, gas and irrigation channels. It can also be used to construct transportation lines of similar substances. Their features, such as durability, low maintenance, long functional life, long term integrity, strength and environment friendliness, make it such a high demand product. Not only is it resistant to corrosion, pressure and heat, its installation is hassle free and easy. Therefore, labour charges are also reduced manifold as no skilled labour is required. It can be manufactured in sizes from25 mm to 250 mm internal diameter, which is virtually of almost any size. These new technologies have made the manufacture of flexible pipes so economical and hazard less.